Tolstoy's tumultuous tale of passion and self-discovery marks a turning point in the author's career. 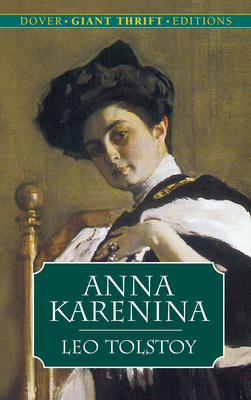 His compelling, emotional saga recounts the effects of nonconformist behavior -- a society woman's adulterous affair and a landowner's unconventional quest for a meaningful existence -- against a backdrop of late 19th-century Russia. Novelist, essayist, dramatist, and philosopher, Count Leo Tolstoy (1828-1910) is most famous for his sprawling portraits of 19th-century Russian life, as recounted in Anna Karenina and War and Peace.